Intersections serves as the Institute’s ‘front window’, showcasing the research, events and trainings which take place at The Hague Institute. 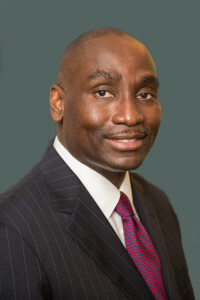 The Winter 2015 edition focused on Institutions and Governance. It is my pleasure to introduce the Fall 2015 edition of Intersections, which has come to serve as The Hague Institute’s ‘front window’, showcasing the research, events and trainings which take place here on the Sophialaan, and – through our varied partnerships – throughout the world. The first half of 2015 has been a period of intense activity for the Institute, and one in which we have simultaneously advanced cutting-edge research whilst also convening leading global statespersons and thinkers. Of particular salience in our calendar was a busy week in June when we had the honor of welcoming the Chair of our Advisory Council, former U.S. Secretary of State Madeleine Albright, back to the Institute, where – in a partnership between The Hague Institute, the Brookings Institution and the City of The Hague – she inaugurated a new lecture series in global justice in her name. That same week, Secretary Albright joined former Nigerian Foreign Minister Ibrahim Gambari at the Peace Palace to launch the report of the Commission on Global Security, Justice & Governance. Now also launched in New York, Washington, D.C. and Berlin, we hope that the Commission’s report will provide a roadmap for UN reform in this, the 70th anniversary of the world organization. 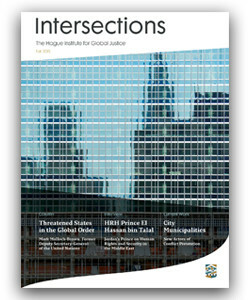 This issue of Intersections contains details on the Commission’s report, as well as news of other key events, including a conference to mark the 20th anniversary of the genocide in Srebrenica, a series which has brought the former Prime Ministers of the Netherlands to the Institute to reflect on world affairs and a conference on cyber governance. Providing his own reflections on contemporary challenges in global governance in these pages is former UN Deputy Secretary-General, Mark Malloch-Brown. In March, we were privileged to host not only Lord Malloch-Brown as a Distinguished Speaker, but also Prince El Hassan bin Talal of Jordan, who is the subject of the interview in this edition, and Dorit Beinisch, former President of the Supreme Court of Israel, who also writes a column in this issue. These updates on our high-level events, and dialogues with global thought-leaders are presented here alongside news on our current research on topics as diverse as rule of law in Ukraine, the role of cities in conflict prevention and responding to sexual violence in conflict. We hope it provides an insight into our work and sufficient encouragement to go beyond our front window by engaging with the Institute in other ways.